interpretation and generation of thematic maps. The National Groundwater Protection Scheme Programme greatly assists environmental departments and local authority planners in reaching decisions on land zoning and allowing for sustainable development. It is aimed at providing a common platform for all local authorities and will lead to a more coherent approach to land zoning protocols. 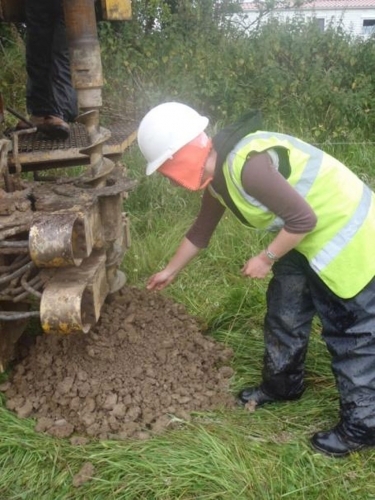 Geoscience Ireland partners were appointed by the Geological Survey of Ireland to complete the National Groundwater Protection Scheme Programme, with particular regard to completing the national subsoil permeability and depth to bedrock maps on behalf of the GSI. Some of the project outputs will include subsoil permeability maps for the country for inclusion within a geographic information system along with subsoil permeability reports for the mapped areas.